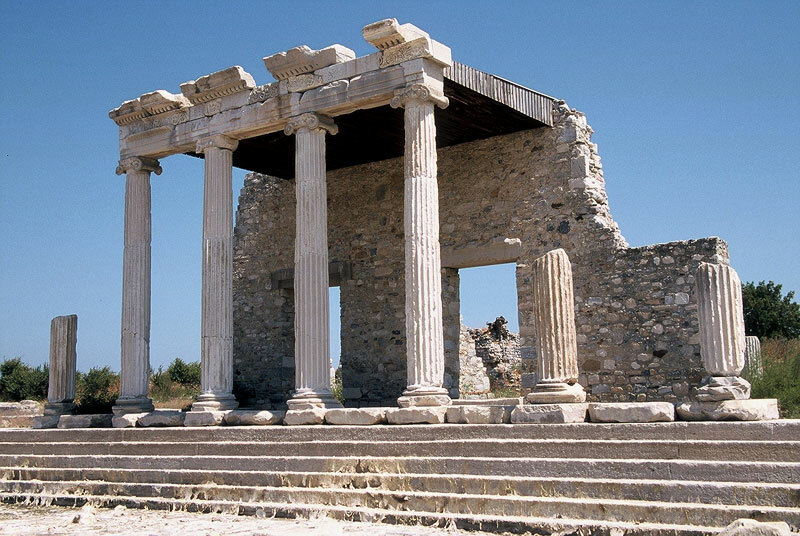 There is an Ionic Stoa in the northeastern corner of the city, on the eastern side of the Sacred Way, which led to the sanctuary of Didyma. 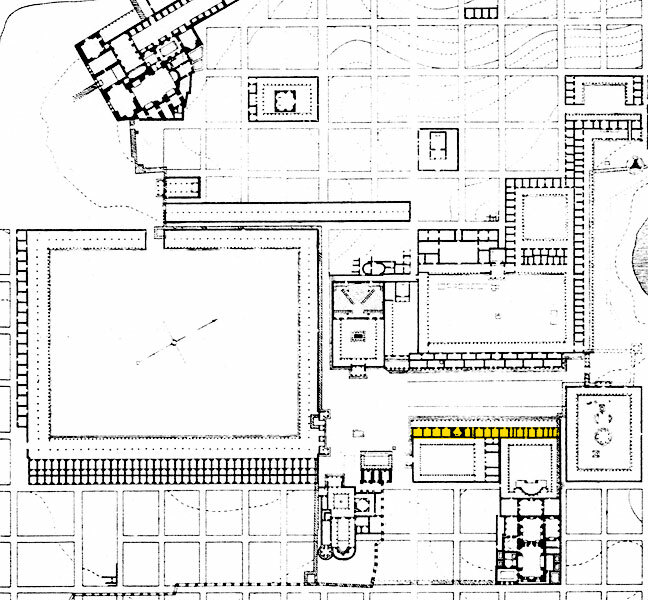 The Stoa was built in front of the Hellenistic Gymnasium (of Eudemus?) and the Capito Thermae, on a north to south axis. It measured approximately 100X14 metres. 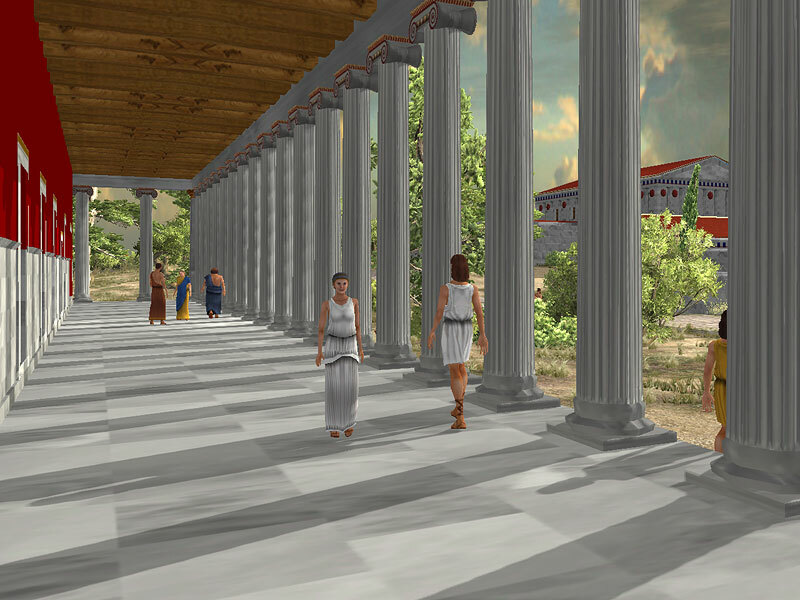 Its facade included an oblong Ionic colonnade with 35 columns that stood on a high crepis consisting of seven steps and supported an entablature with a richly decorated frieze. Behind the colonnade there was a row of rooms serving various functions. 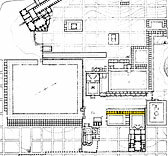 Two of these served as passageways, connecting with the adjacent Capito Thermae complex. 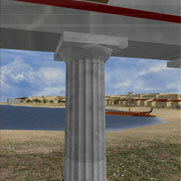 The stoa ended in the southern side in arch. The architectural order of the Stoa's faces gave a pronounced Ionic character to the Sacred Way and therefore to the centre of Roman Miletus. The construction of the building dates from the period of the Flavian dynasty (69-96 AD), while some alterations were carried out in the years of Emperor Trajan (98-117 AD).